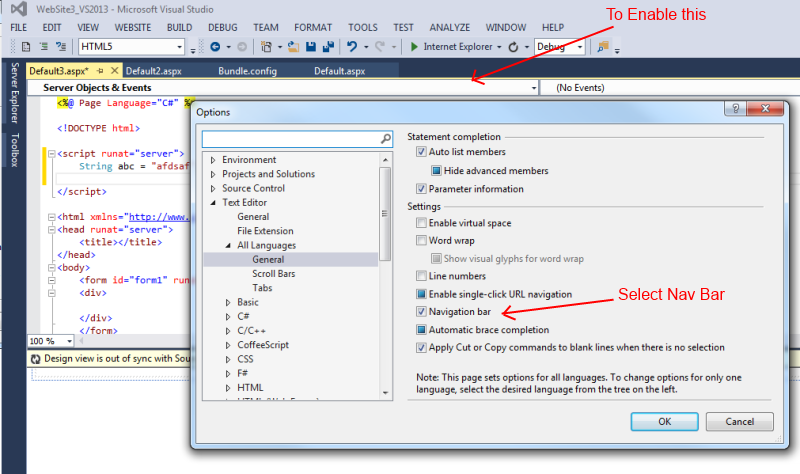 In past versions of Visual Studio, two useful drop-down lists existed over your main development window that would let you easily add new auto-generated page or object level events. These drop-down lists are commonly known as Server Objects and Events. Microsoft counter-intuitively calls these drop-down lists the Navigation bar.